Miri – 26 March 2015 – A team of three final-year chemical engineering students of Curtin University, Sarawak Malaysia (Curtin Sarawak) won the Honourable Mention Award for its entry in the Crown Prince CIPTA (Creative, Innovative Product and Technological Advancement) 2015 competition organised by Institut Teknologi Brunei in partnership with Brunei LNG. How Teck Kien, Koh Boon Yew and Melissa Siaw Yiin Ling received their award, which included a BND2,000 cash prize, at an award ceremony held at the Royal Brunei Polo and Riding Club in Brunei recently. They were accompanied by their project supervisor, lecturer of petroleum engineering Dr. Stephanie Chan Yen San. The students were awarded for their project, ‘Extraction of Vitamin E from Palm Fatty Acid Distillate’, one of the ASEAN entries in the New Invention and Innovation category. Under this category, 28 entries were received from universities and research institutions in Malaysia, Singapore and Indonesia. Only 13 entries made it to the final round of the competition. The biennial competition is open to schools, technical and tertiary institutions, government and private organisations, as well as members of the public. It covers all areas of science, technology and engineering, such as mechanical, civil, electrical, electronic, computer, microprocessor, petroleum and chemical engineering. The competition is aimed at bringing forward potential inventors with creative and innovative ideas for new products or processes, pioneering new technological developments, and creating ideas for product, process or technology improvement or enhancement. The winning projects in the competition are recommended to appropriate authorities for further sponsorship, research, development, commercialisation and entrepreneurship. This year’s competition carried the theme ‘Reaching an Innovative Society for a Sustainable Future.’ His Royal Highness Prince (Dr.) Haji Al-Muhtadee Billah, the crown prince of Brunei, is the patron of the event. Commenting on the team’s achievement, How said the team faced stiff competition as there were many quality projects submitted by the participating teams. Both How and Siaw commented that it felt great to be recognised by the panel of academics and industry experts judging the competition. They also thanked their other two team members Lau Yien Jun and Jason Soh Shyhkai who were involved in the initial part of designing the project. According to Dr. Chan, the competition is a prestigious one where students can apply theories learnt in their studies. The team was able to design a fully functional chemical plant, carried out process simulation to validate the feasibility of the processes, as well as mechanical design of the unit operations and economic analysis of the plant viability. “The novelty of the team’s project included designing a hybrid distillation column, distributor coupled falling film evaporator and infrared drying system. Such innovations can be useful in industries such as the pharmaceutical, cosmoceutical and oil and gas sectors,” she said. 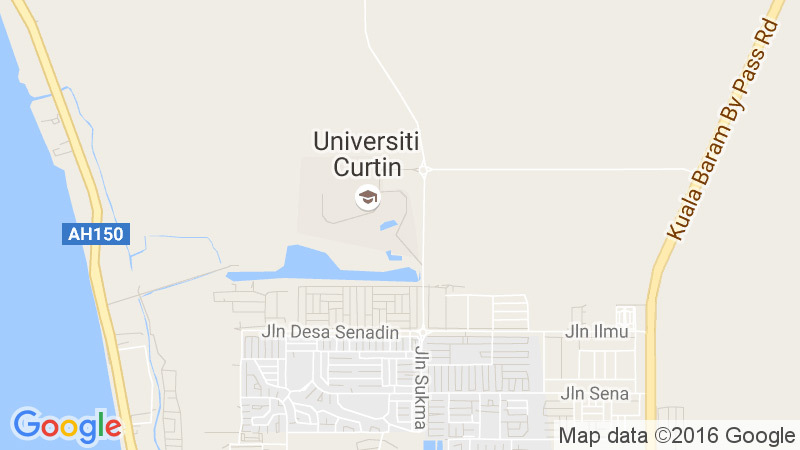 For more information on Curtin Sarawak, visit its website at www.curtin.edu.my, its Facebook page at facebook.com/CurtinUniversitySarawakMalaysia, Twitter profile at twitter.com/curtinsarawak, YouTube channel at www.youtube.com/user/CurtinUniSarawak, or Instagram at instagram.com/curtinsarawak. The Curtin Sarawak students explaining their project to His Royal Highness Pengiran Muda Haji Al-Muhtadee Billah. (L-R) Koh, How and Siaw posing with their award, certificate and mock cheque.